I really can't think of anything I don't love about Friday, so I thought it would be appropriate to highlight some things I LOVED this week! First up, my brother turns 26 on Saturday, and just posted this to Facebook. 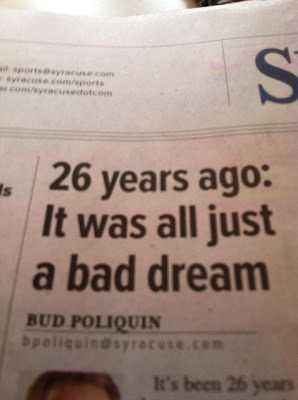 He found it in the Syracuse paper! 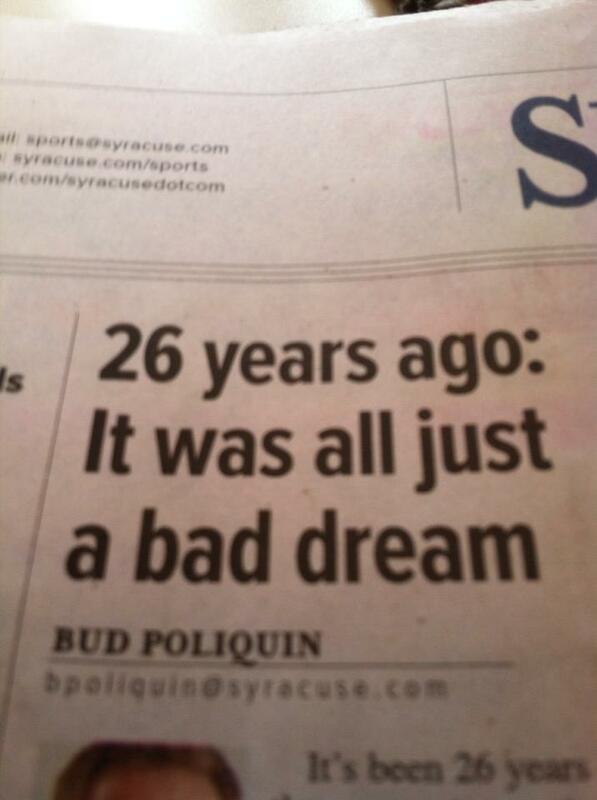 I mean, as a little sister I know it was all just a bad dream...but it's nice to know Syracuse knows what's up. Just kidding love you, Daryl. Next, I LOVE the Crock Pot Chicken Satay (think coconut, curry, and a touch of peanut butter) I made last night! I got the recipe from Kaitlyn at Wifessionals and it was a HUGE hit! So easy. We will definitely be having it again! Recipe found here. And lastly, I'm loving the snapchats I wake up to every morning from a certain 2 sisters-to-be that have me smiling all the way to work EVERY morning! Love the pic of you two and the major ducklips going on ;) I'm so proud!! Enjoy your weekend, happy Easter friend!!! I love Si. He is one of my favorite people. Bahahahaha oh Si!! The only thing missing is his sweet tea.